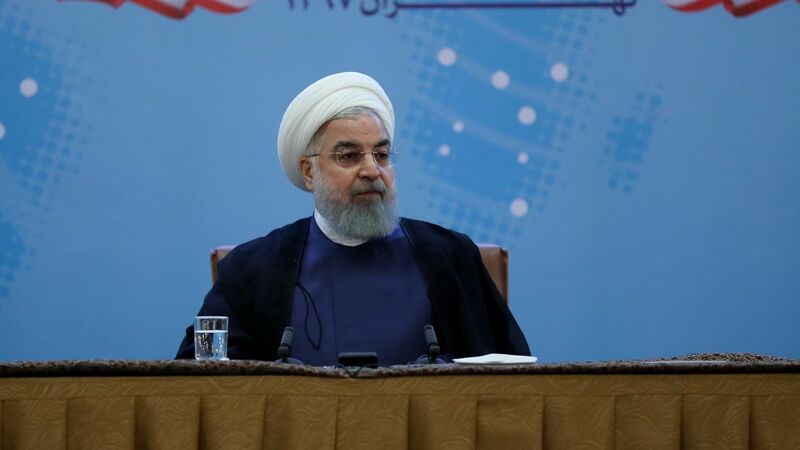 Iranian President warns Trump: "War with Iran is the mother of all wars"
Iranian President Hassan Rouhani on Sunday issued a stern warning to President Trump against provoking Tehran through sanctions, telling Trump that "America should know ... war with Iran is the mother of all wars," Reuters reports. Quote“Mr Trump, don’t play with the lion’s tail, this would only lead to regret"
— Rouhani says, per Reuters, citing state new agency IRNA. The backdrop: This comes as Iran faces impending sanctions after Trump in May withdrew the U.S. from a 2015 deal, under which the country has scaled back its nuclear program in exchange for international sanctions relief. Meanwhile, U.S. officials told Reuters that the Trump administration has launched combative efforts to paint Iranian leaders in a negative light. Current and former officials also reportedly said the campaign is exaggerated or contradicts other official assertions, including statements made by previous administrations. Rouhani's remarks come amid reports that Washington is seeking to destabilize Iran’s Islamic government, Reuters reports. But the leader left open the possibility of peace between both countries.